A photograph can take you back in time, letting your memories live forever. I often find myself flicking back through my old photos on Facebook, reminiscing on certain times in my life. I love that it’s almost like stepping INSIDE the photograph, and being in that moment again. This process can either make me really happy, or really sad. Friendships may have fizzled out, relationships may have ended, family members may have passed, but I personally feel sometimes, it is nice to look back and think, I was really happy there. I’m trying to live my life in the present more and more, each and everyday, and not dwell too much on the past, or even the ‘unknown’ future. Thinking about the past and future, is where I’d say I struggle with my OCD diagnosis the most. When I think of the past, I look back and I can’t help but think, WHERE DID IT ALL GO WRONG?! I never used to constantly worry about dying or catching illnesses, why and where did this change? Why can’t I be as happy and care-free as I was in that photograph again? However, saying all that, I think documenting your past is a really important process in life. Seeing how you change and develop as a person. In the movies, girl brings boy back to her place, family gets the baby albums out, yes it’s mega cringe, and yes they try and make it as awkward as they can. But I’d be very sad if my dad HADN’T documented that time of my life. I find it really interesting to see what I looked like back then, after all I can’t remember it! Same goes for when I’m older, I know I will want to look back on my twenties, show the grandkids and all that. Yes, it’s rose-gold and white, blogger heaven, I know. Yes it is beautiful, stylish and compact. But aesthetics aside, this little gadget is INKless and absolutely flipping amazing – my current addiction. I’ve always been drawn to Polaroid cameras, I love the INSTANT feel of them. You can take a photo and seconds later it will be in your hand, to keep. You can pop it in a scrapbook, on your wall or on your fridge. No more going into Boots to have your photos developed, or logging onto photo printing websites and having to wait a few days, INSTANT PRINTS. 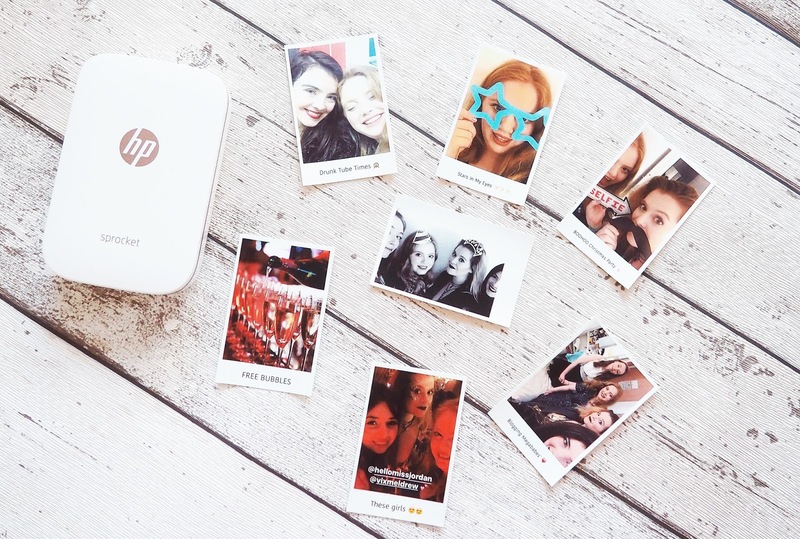 Have any of you ever used a Polaroid camera and tried to group-selfie with it? DISASTER. Beth’s thumb is in front of the lens, Emma’s blinking, poor Amy, bless her’ isn’t in the shot at all. This doesn’t happen when you use the HP Sprocket. It is like having a Polaroid camera, except you get to CHOOSE which photos you would like to print, directly through the App. No more dodgy selfie shots! This means you can be 100% happy with what comes out, no wasting paper! The printer connects to your device through a Bluetooth connection. 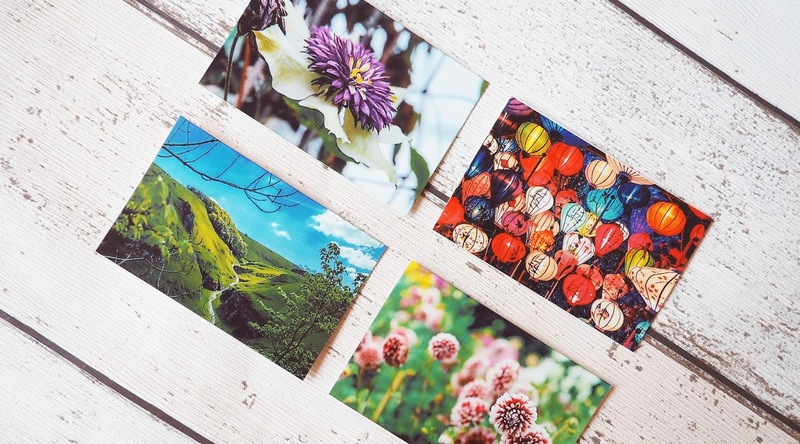 It prints photos from Instagram, Facebook, Flickr or simply your camera roll. It is quick, hassle free, and I get rather excited each time a new photo comes out! Did you say it was INKLESS? Yes, you heard me correctly. You don’t need ink cartridges, which I think is BRILLIANT, because I hate buying ink. 1) It is SO expensive. 2) You always run out of a certain colour first, never all at the same time, and it is just a FAFF. 3) You begin to restrict your creativity… OH NO THAT PHOTO HAS LOADS OF BLUE IN THE BACKGROUND. Can’t print that, it will take up all the blue ink! Is the print quality any good? This is the question that most people seem to ask me, which is totally understandable because after all, that is what you are paying for. Firstly, I will let you answer that yourself with the photos shown below. They are Jordan’s and all taken on his SLR. With all printing facilities, the quality of the print is dependant on the quality of the photograph itself. I can easily tell the difference between prints from my Olympus Pen, and my iPhone 6. In some cases I even used images using my Instagram stories, FORWARD FACING CAMERA in the dark, which is terrible quality, but still printed out rather well. It all depends on the images YOU are using. In some cases I find that the darker photos don’t turn out as good as the bright ones, but in some cases they work better. To be honest it is all about trial and error in the beginning. I’m still learning which photos turn out better than others, and then editing my future photos accordingly to suit the printers abilities. You soon pick this up. 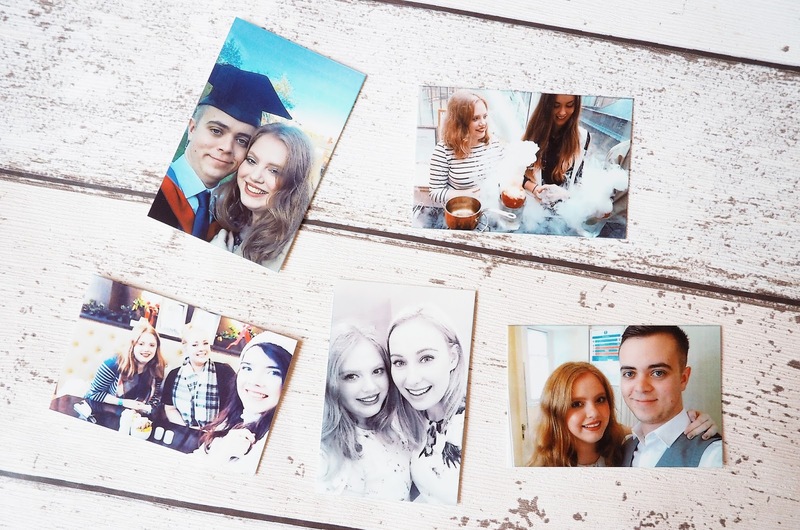 The photographs themselves are only 2 by 3 inches, perfect for scrapbooking. They are rather small and I feel that the printing quality is MORE than enough for them. I am seriously very impressed with it. How did you add the frames, and text to the image? Through the app of course! 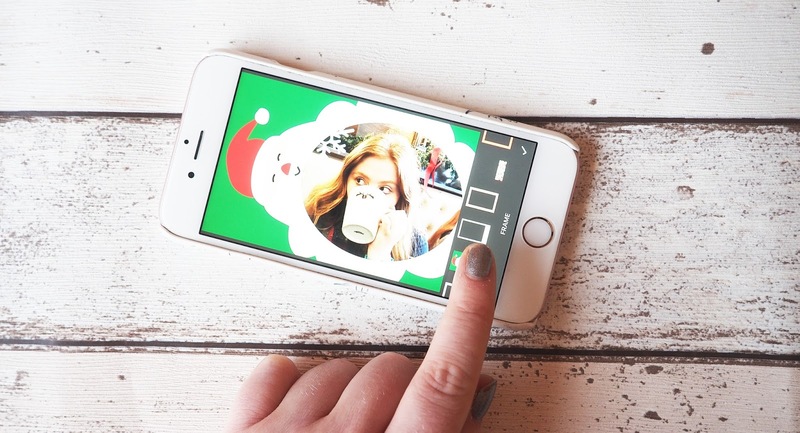 The app you use to print the photos has all sorts of different features to play around with. The editor features filters, similarly to apps such as Instagram and VSCO, I personally like playing around with the black and white ones. IT’S TIME TO GET CREATIVE. You can add text, stickers, and frames to your photos and make them your own. There are all sorts of frames, FUN AND FUNKY ONES including Santa – where you end up inside his BEARD, which I just think is hilarious. There are crazy colourful ones and more rustic wooden ones, plus the standard white border, which I happen to LOVE. There is something for everyone. The stickers are also super cute, and can totally change your images. You want to wear a tiara? YOU PUT THAT TIARA STICKER ON YOUR HEAD GIRL. I personally love the Christmassy ones, and the cat ears, it is very fun. Hope you enjoyed this post lovelies! I bet you’re now lusting after this amazing little gadget aren’t you? If you have super organised family and friends, it might be a little bit too late to subtly *hint* that you would like one for Christmas, but it worth a try! Play on the fact that it will benefit THEM too. Because it does, Jordan flipping loves the Sprocket and is already creating a scrapbook of all his favourite photographs. If you are receiving money as a gift this year, I would certainly recommend this as an investment. I hear people using them for keepsakes at weddings, big family get togethers and drunken parties. Whatever the occasion, it’s a fun product that everyone is sure to love. 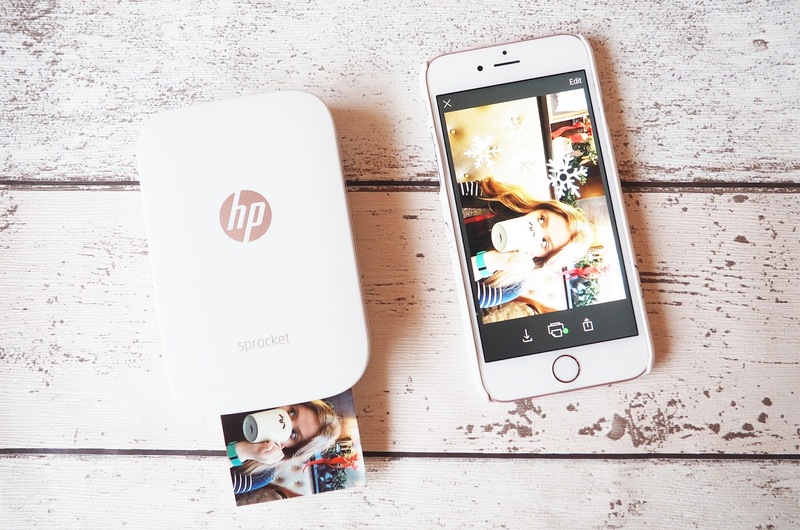 Learn more about the Sprocket over on the HP Store here. Happy Memory Building! That looks pretty awesome! Also looks ideal to slip into a handbag so you can print on the go, woop!